This is a two-day practical field test that emphasise open, honest dialogue and real learning. The tracks and sign of any and all species encountered in the field may be asked, whether big or small, clear or obscure. After participants give their answers, a dialogue ensues between the evaluator and participants to provide the opportunity for everyone involved to learn and for each of us to internalize the field marks used for identification. With this in mind these evaluations are easily, if not more, educational than a workshop with an added benefit that you may also have your knowledge recognised if scoring a minimum of 69%. Tracker Certifications emphasise practical tracking and the development of reliable field skills, and are not associated with any particular philosophy or tracking school. No prior training is required to participate. Track & Sign I: The candidate must be able to interpret the spoor of medium to large animals and must have a fair knowledge of animal behaviour. To qualify for the Track & Sign I certificate the candidate must obtain 69% on the Track & Sign Interpretation. 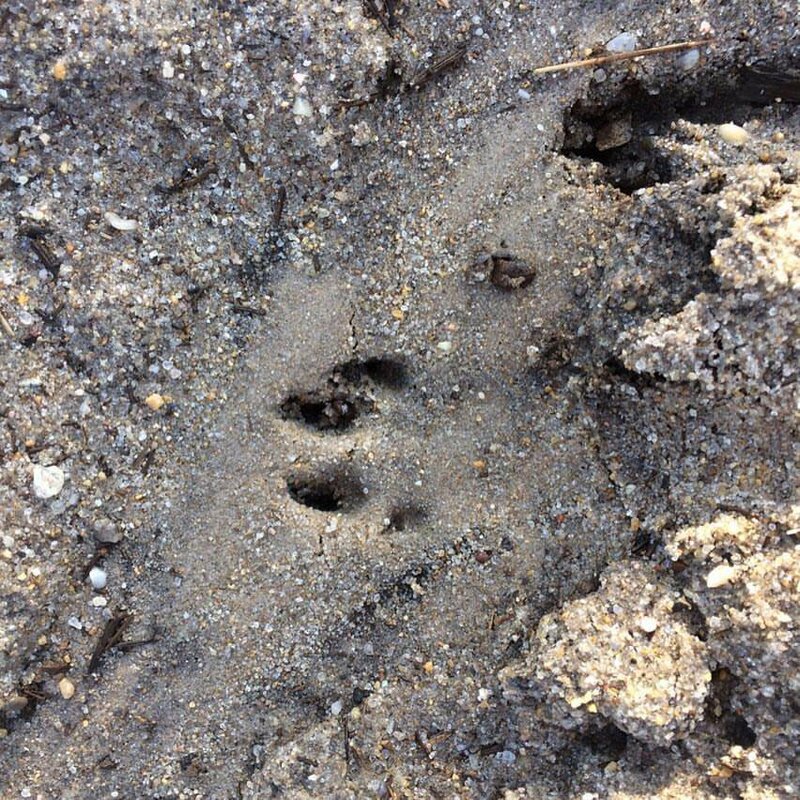 Track & Sign II Certificate: The candidate must be able to interpret the spoor of small to large animals, interpret less distinct spoor and must have a good knowledge of animal behaviour. To qualify for the Track & Sign II certificate the candidate must obtain 80% on the Track & Sign Interpretation evaluation. Track & Sign III and Track & Sign IV Certificates: The candidate must be able to interpret the spoor of any animal, interpret obscure spoor and must have a very good knowledge of animal behaviour. To qualify for the Track & Sign III certificate the candidate must obtain 90% on the Track & Sign Interpretation evaluation, and for Level IV, 100%. The evaluations are run by John Rhyder who is a track and sign specialist having scored 100% in a specialist evaluation, the highest assessed level possible and has qualified as a track and sign evaluator within the CyberTracker system. In addition he has also scored 100% in a standard trailing evaluation making him the first and currently only level 4 tracker in Northern Europe. The cost of a track and sign evaluation is €250 per person with a maximum of 10 participants on the programme. These evaluations are opportunities to work with internationally evaluated wildlife trackers; many of these places have filled before advertising on the web so please contact us quickly to avoid disappointment. We always compile a cancellation list so please also contact us to register your interest. The events will take place across a range of locations in the Wicklow area giving us plenty of uninterrupted tracking experience across a range of habitats. For anyone wondering about the cyber aspect of cybertracker, this refers to a data capture programme developed by Louis Liebenberg to allow information on animal populations to be recorded by trackers in the field. It is available for free on the cyber tracker website but does not form any part of the evaluations. Booking deposit of €50 is required to secure your place. The balance of the fees are required in full no later than 8 weeks before the course starts. If not paid, we reserve the right to treat the agreement as cancelled by you. Bookings made within 8 weeks of course commencement must be accompanied by payment in full. Cancellation more than 8 weeks before the course starts will be fully refunded. Cancellation 4-8 weeks before course commencement will lead to 50% of the course cost being payable. Cancellation <4 weeks before course commencement 100% of the course fee will be required by Tipi Adventures.